Location: Lr. Abbey Street, D1. Wynn’s Hotel is located on Lower Abbey Street in Dublin 1. This 3 star hotel is as close to the city centre as you can get with O’Connell Street just around the corner. It one of the Dublin hotels near The Abbey Theatre. Wynn’s has existed since the mid 19th century and although it has all the most modern conveniences including conference rooms and a fully equipped gym, it has a certain old world feel reminiscent of Victorian times. The personal service at Wynn’s is something which is often lacking in modern hotels. 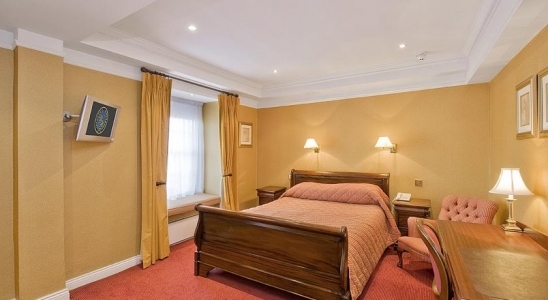 The 65 rooms at this 3 star Abbet Street Dublin hotel have have a classy traditional feel but contain all the conveniences you would expect of a modern hotel including a flat-screen TV, tea/coffee making facilities, a safe, free WiFi and an en suite bathroom. There is a choice of single, twin and double rooms. The Playwright Restaurant is one of Dublin City Centre’s most elegant dining places where breakfast, lunch and evening meals are served. The Pre Theatre menu is especially popular with patrons attending the Abbey Theatre nearby. 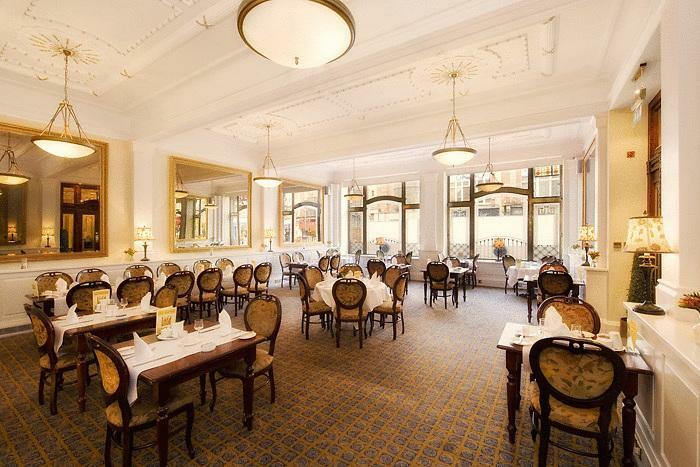 The Saints and Scholars Lounge is a popular place to have a drink or a light snack. 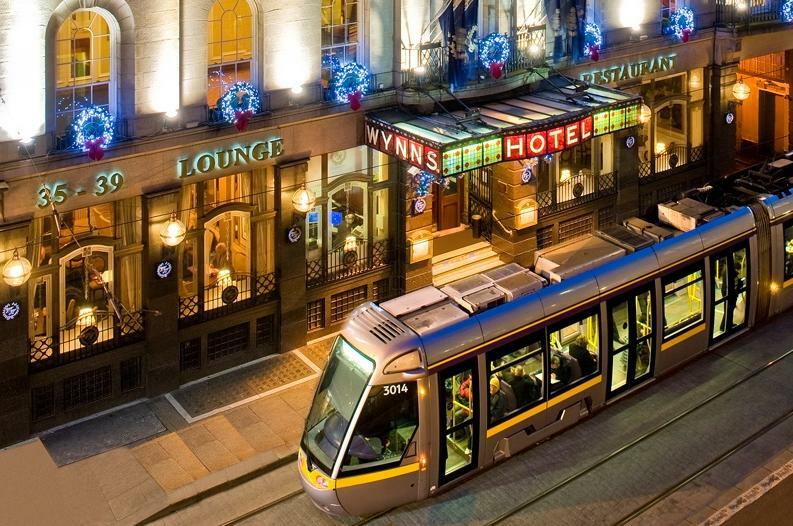 Located in Dublin City Centre, Wynn’s Hotel is as close as you can get to The Abbey Theatre. It is also convenient to Busaras (Dublin Bus Terminal) and Connolly Train Station. O’Connell Street, Henry Street and The Grand Canal Theatre are nearby.